Chris Mautner published an appreciative primer on the great Osamu Tezuka over at Robot 6, and it’s nicely timed. This week’s ComicList offers new volumes of one of Tezuka’s enduring classics and a series based on another of his icons. 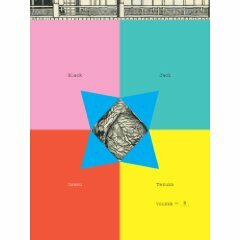 Vertical keeps the medical madness coming with the eighth volume of Tezuka’s Black Jack. Mautner notes that the comic is “not for the squeamish, and like Astro Boy it’s very episodic, with Jack pulling off one fantastic operation after another. Those who can handle the occasionally bit of surgically sliced organs and flesh will find this to be a worth their time however.” I tend to fall into the squeamish category, and I find Black Jack to be a continuing source of delight, so take that for whatever it’s worth. 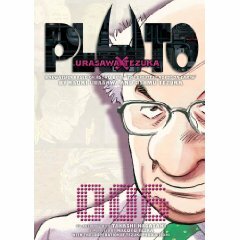 The very talented Naoki (Monster, 20th Century Boys) Urasawa’s re-imagining of Tezuka’s Astro Boy classic, “The Greatest Robot on Earth,” continues in the sixth volume of Pluto. It’s a nifty blend of science fiction and murder mystery, and it’s my second-favorite Urasawa series currently being published by Viz. Of course, it’s not all Tezuka this week. 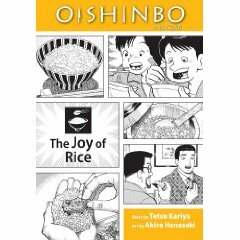 There’s also Oishinbo: The Joy of Rice, written by Tetsu Kariya and illustrated by Akira Hanasaki. I’ve really been looking forward to this volume, since I’ve never been able to consistently cook rice well, and I’m hoping it has some good advice mixed in with the toxic father-son posturing. Even if it doesn’t help me with my rice issues, I’m sure I’ll enjoy reading it. 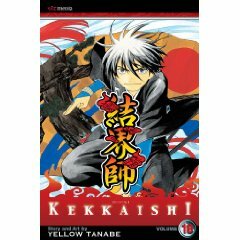 Speaking of things I’ve been enjoying, it’s nice to be able to get in on the ground floor of Yellow Tanabe’s Kekkeishi over at Viz’s Shonen Sunday site. The print version of the series is up to its 19th volume. The Shonen Sunday site has added some other fun series like Yakitate!! Japan (over-the-top bread-baking battles) and Case Closed (teen sleuth trapped in the body of a little kid). 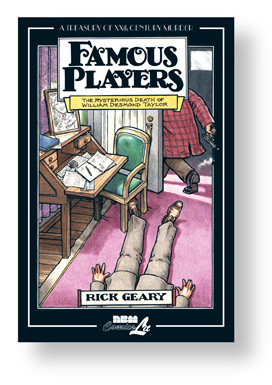 The cheap among us will rejoice at the arrival of the softcover version of Rick Geary’s Treasury of XXth Century Murder: Famous Players, the Mysterious Death of William Desmond Taylor. I read a prose version of the story a long time ago, so it will be interesting to see Geary’s telling. Of course, it’s always interesting to see Geary’s telling of anything. You are currently browsing the The Manga Curmudgeon blog archives for the day Tuesday, November 17th, 2009.